Welcome to Skylark's Class Page! Our teachers are Miss Purdue, Mrs Eslick and Mrs Burfitt. Keep an eye on this page for information about our learning, fun, activities and adventures this year. The Skylark has a crest of feathers on its head that it raises when it is excited or shocked...so sort of like a feathery mohawk! The skylark is a super flyer...it carries out "display flights" where it flies vertically into the air. Very impressive! The Skylark is on the RSPB "Red List", meaning that the charity is concerned that its population is falling. Farmers are working with the RSPB to make better habitats available to help the Skylark numbers grow. 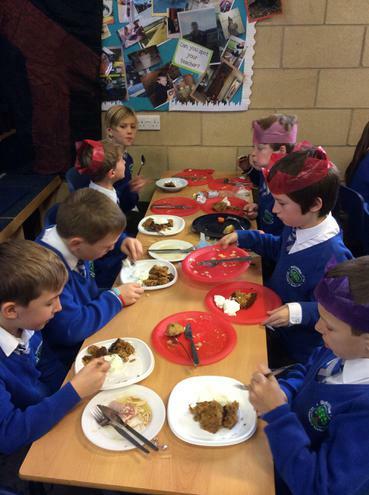 In Skylark Class, we all work hard, have fun and enjoy our friendships. For those times when we need help to remember these things, we are reminded. 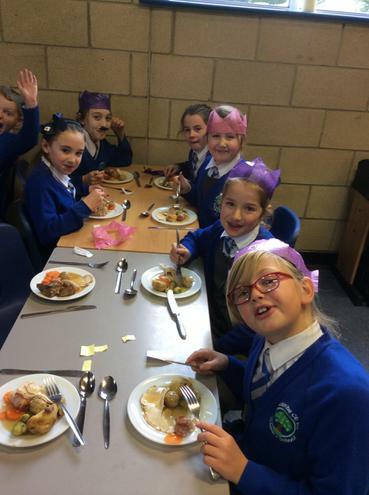 When we do well, we may receive rewards like: verbal and non-verbal praise, house points, a trip to Mr Barge or another member of staff to share our work or a celebration certificate. Below is information on what we will be up to in the run-up to the Summer Holidays. We created our own still life displays and drew them. 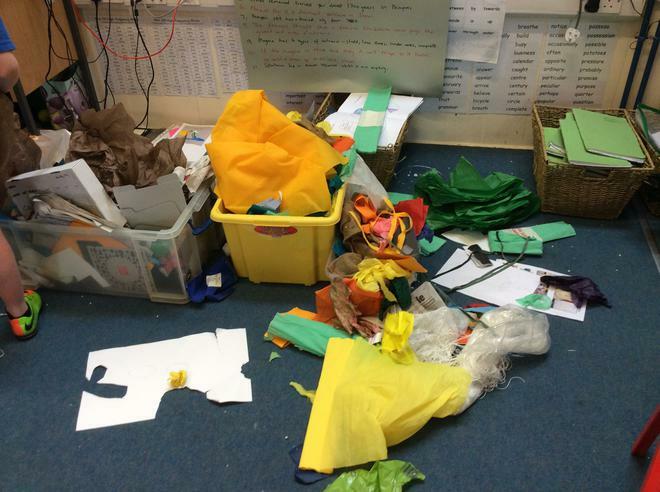 This time, we used our shoes, water bottles and pencil cases to make interesting arrangements. We used pencils and one other colour to finish off our picture. 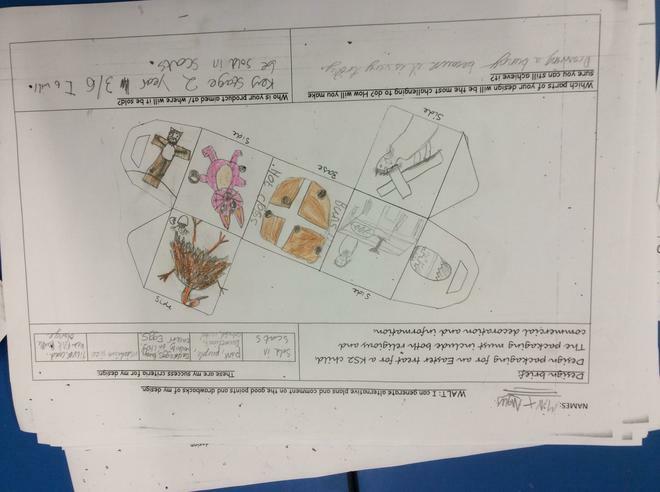 We will be drawing other items next term and using water colours paints to add colour detail. 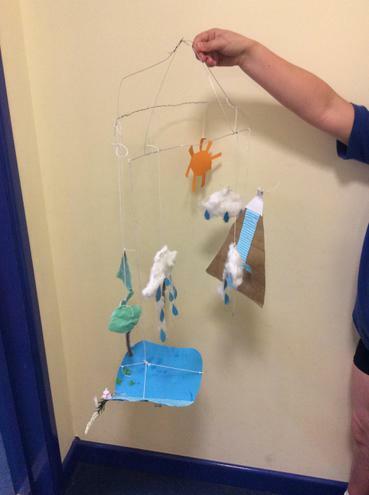 We made super mixed-media 3D sculptures of the Water Cycle in DT. 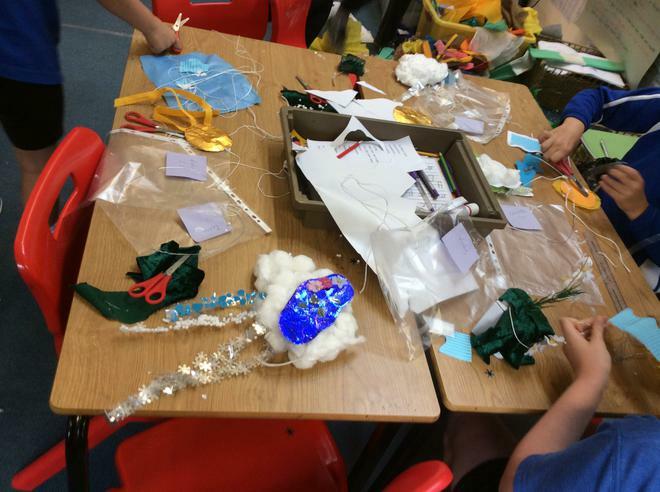 After designing them on paper, we used wire as the base and then used things like paper, fabric and plastic to add detail. 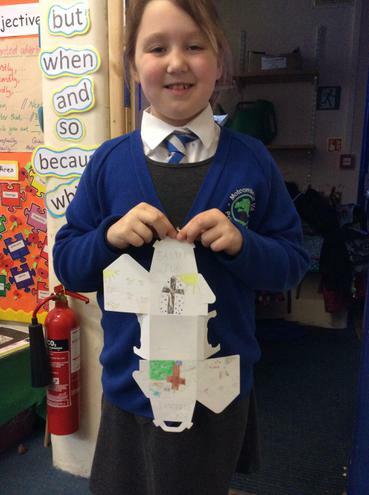 We are all very proud of our designs. Some are still hanging in the classroom! Super vocabulary and dramatic writing! 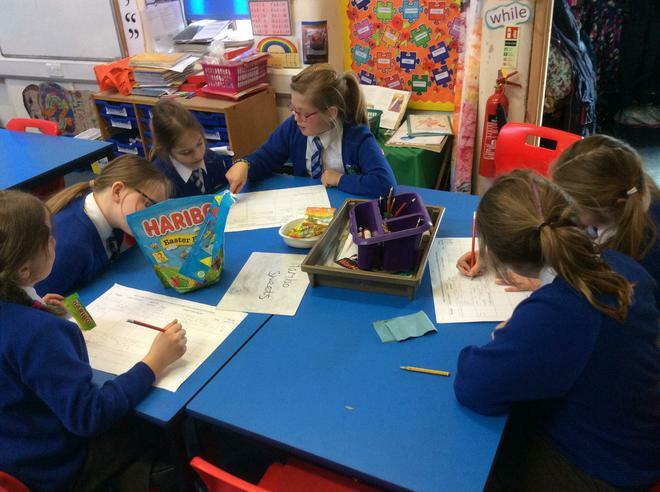 We have been working hard to use impressive words and writing techniques such as alliteration, similes, short snappy sentences and exclamation marks. Below is information on what we will be up to in the run-up to the May half term holiday. 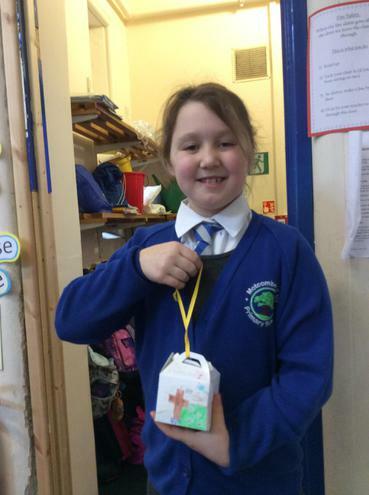 Researching, planning and making Easter packaging! 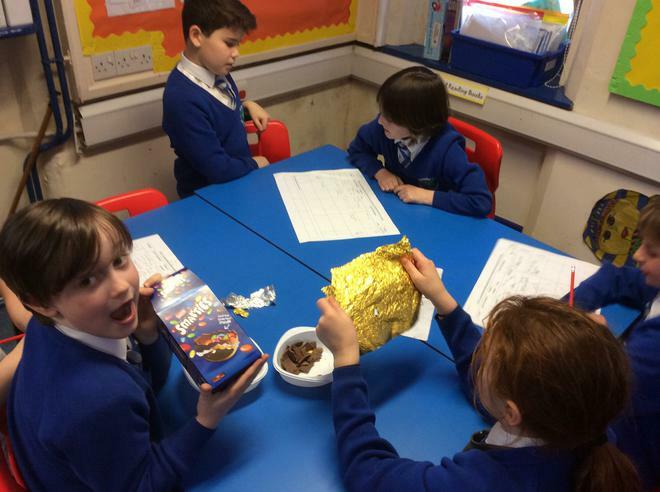 We had lots of fun tasting Easter-related foods, researching the pros and cons of their packaging and creating our own. The children worked together to create Graphic Scores to help them use symbols to compose and play short musical pieces with their friends. 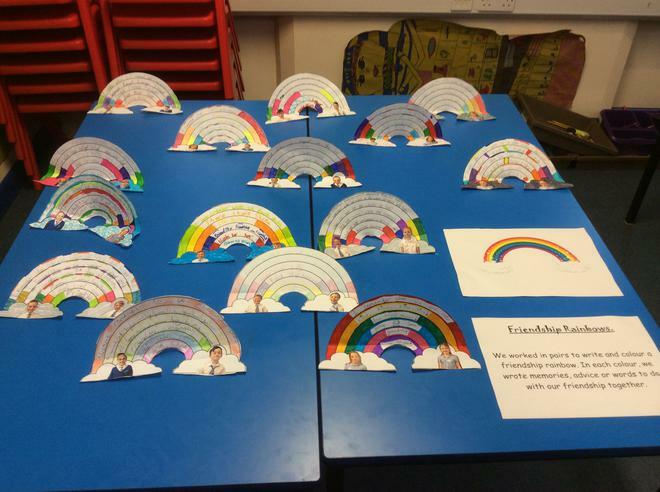 The children created beautiful cards for this special occasion. 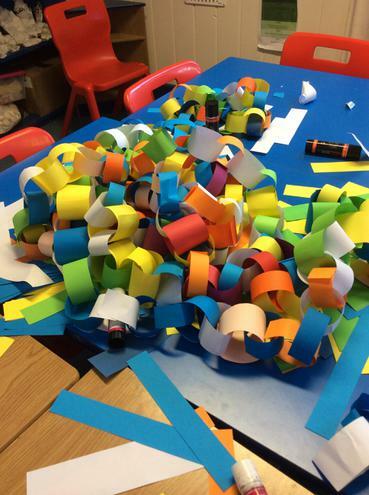 We used brightly coloured paper and were inspired by the artwork of Wassily Kandinsky. This term, the children will benefit from sessions each Wednesday given by the FA coach Mr Scott. 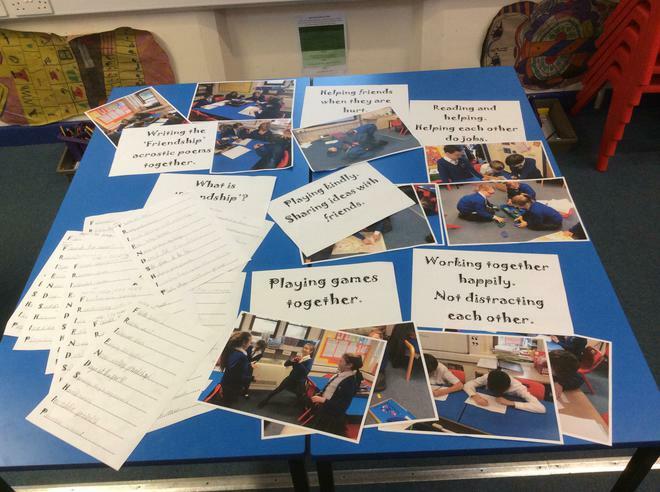 So far, we have learnt to find and use space and have also begun to think strategically within small skills games. 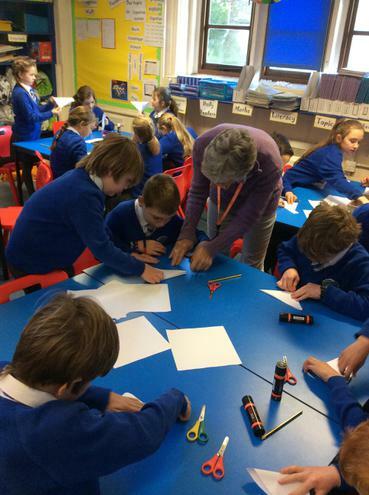 Darwin, Literacy and Description, Description, Description! 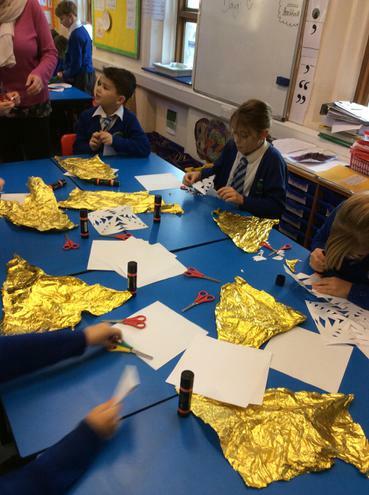 After we learnt about Charles Darwin and his contributions to Victorian scientific understanding, we created our own new animals. 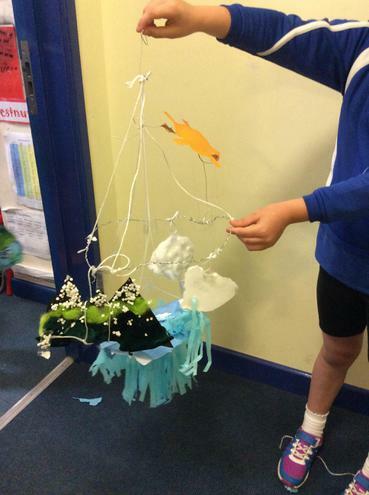 Then, we used noun phrases and expanded noun phrases to describe them and their new habitats. We used these skills to write a letter back to England from where we were in the Galapagos Islands. Using our plans to help us write our letter. 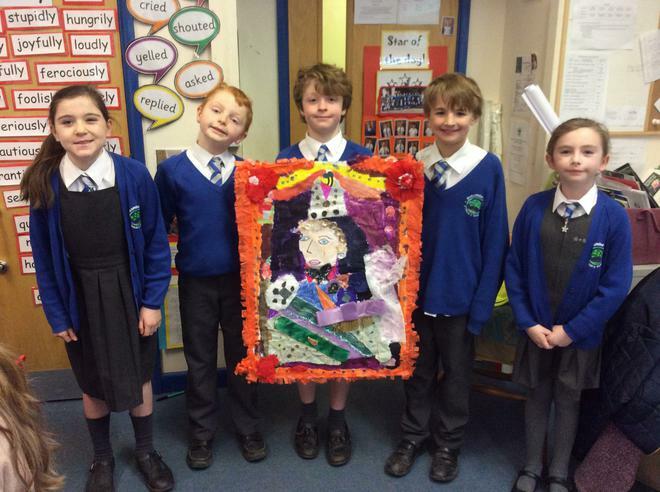 Here are our finished collages. We are very proud of them. We learnt about Sir Robert Peel and the formation of the Victorian Police force. 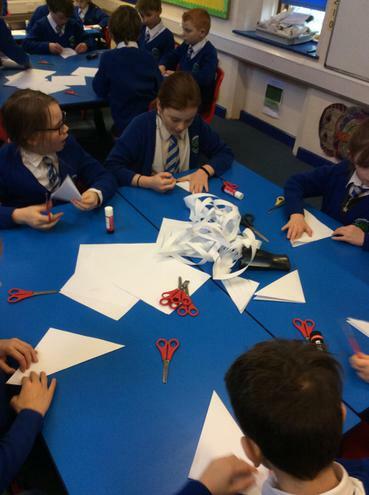 We created dramas that included speech and actions as well as references to the types of crimes that would have been committed and what the Police men would have carried. These included a truncheon, rattle and handcuffs. We had great fun sharing our dramas with each other. 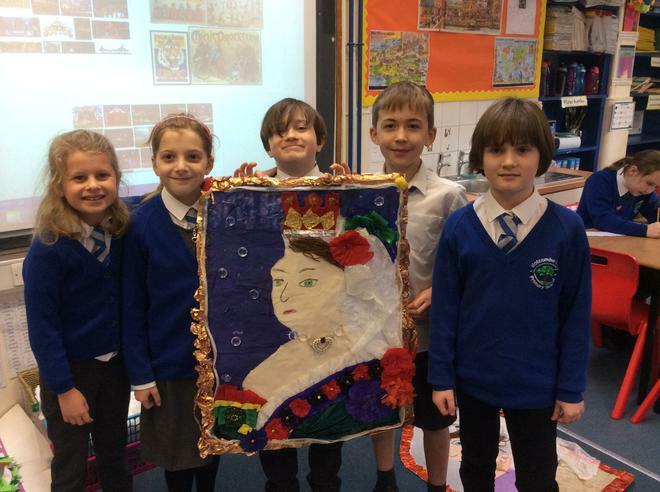 We worked in groups to create giant portraits of Queen Victoria for our topic work on the Victorians. 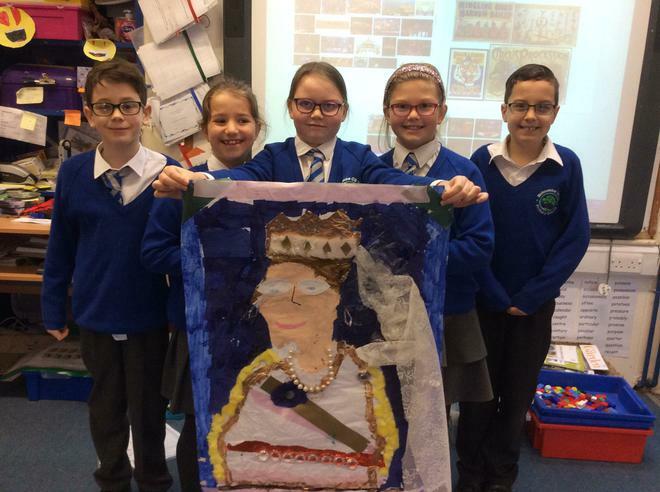 We learnt all about why she was seen in black clothing for many years then decided to collage her in colourful clothing with fabulous jewellery. Stay tuned to see the finished images on this page or come to our class assembly in a few weeks time to see them in person! 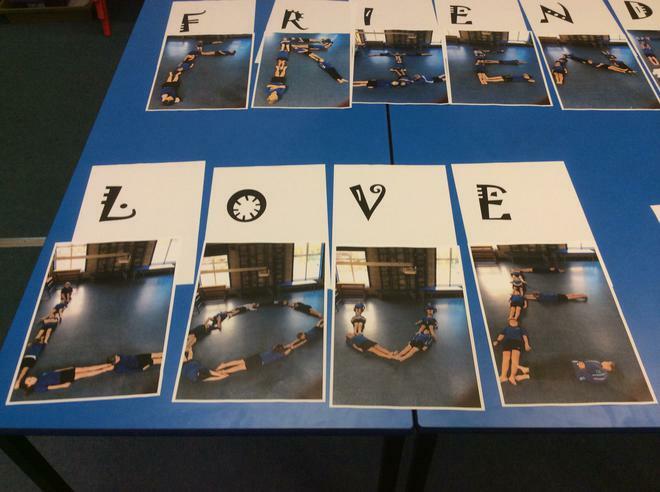 Special thanks goes to Mrs Clements for her help and support in our artwork. 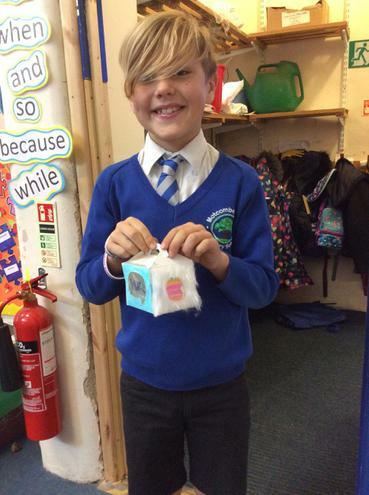 We had fun using our money skills to work out what we could afford to buy in the Year 6 toy sale. Below is information on what we will be up to in the run-up to Easter. 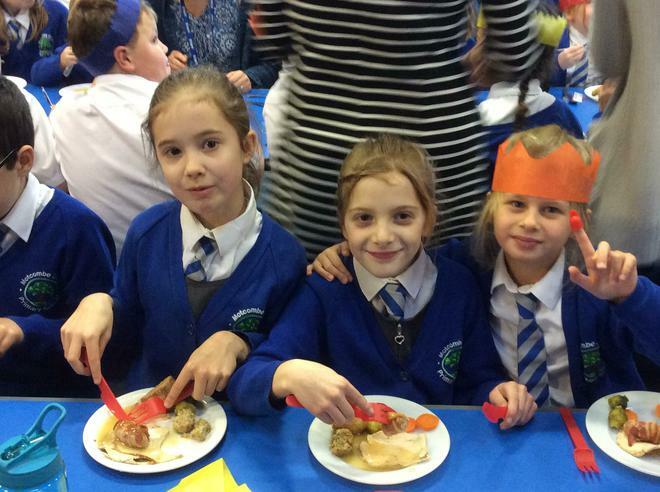 The whole school enjoyed our Christmas dinner together. We pulled crackers, ate turkey and said a prayer of thanks. Using Numicon, we added and subtracted fractions with the same denominators. Some of us were able to add to an amount greater than the whole and explain this as a whole number and a fraction. We showed our understanding with the different values and colours of Numicon. 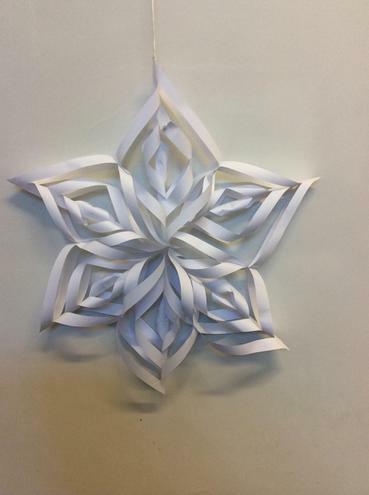 We learnt how to make this very impressive snowflake design. 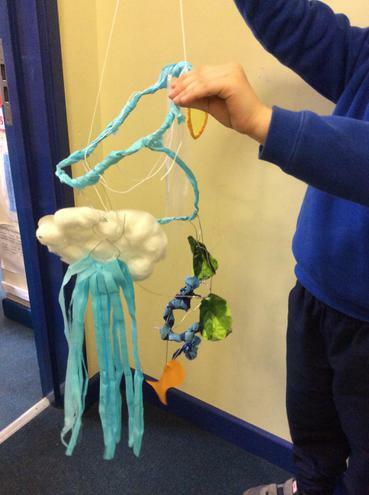 Working together, we were able to make one as a gift for each class, Mr Barge and Mrs Hoddinott. We also have enough to add to our classroom decorations. 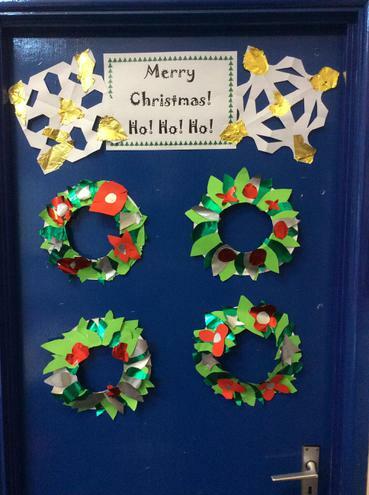 We kick-started our run-up to Christmas by decorating our classroom. 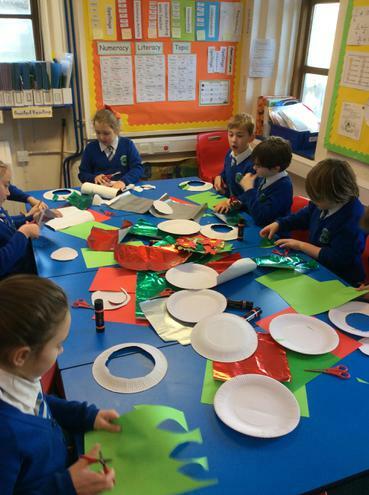 We worked in teams to make: paper chains, wreaths and snowflakes to make the room feel festive. 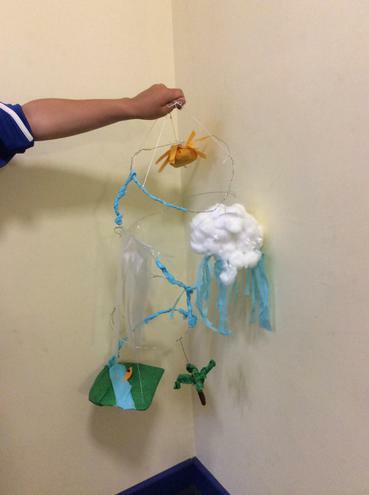 Each group contributed to each activity. 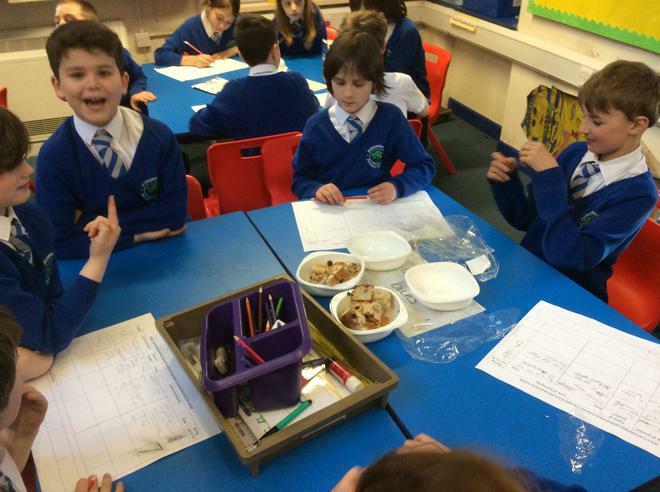 We learnt how to read classification keys to classify living things. 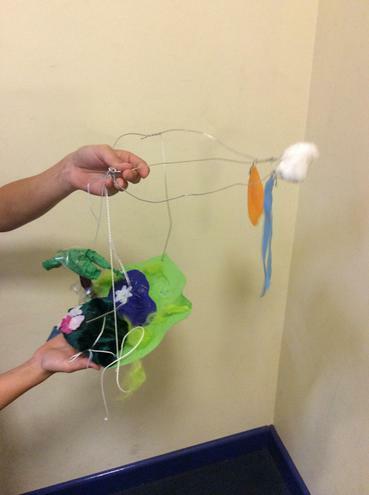 Then, we worked in groups to create our own for images of living things that we were given. 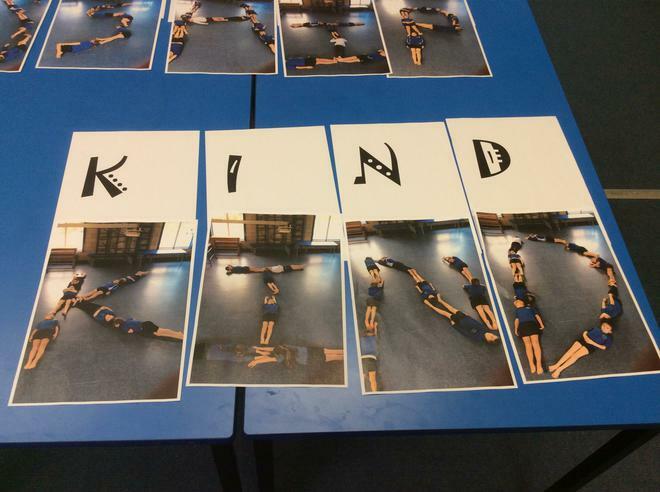 This week, we thought carefully about what it means to be friends, what it means to 'bully' and 'be bullied', and the things we need to do to build and keep our friendships. 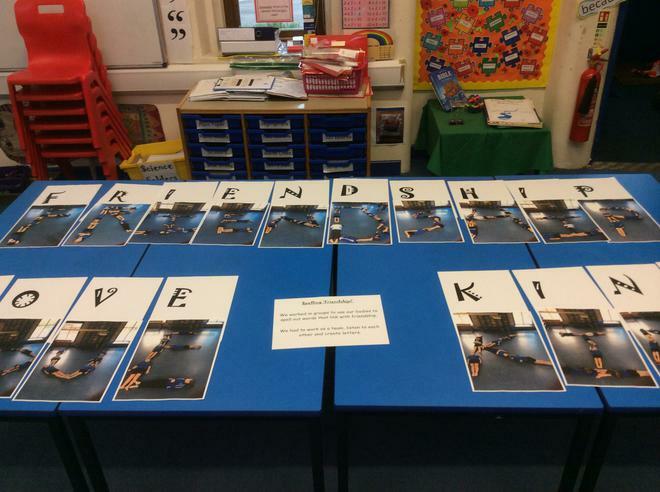 Then, we welcomed our loved ones into class to share our activities with them. 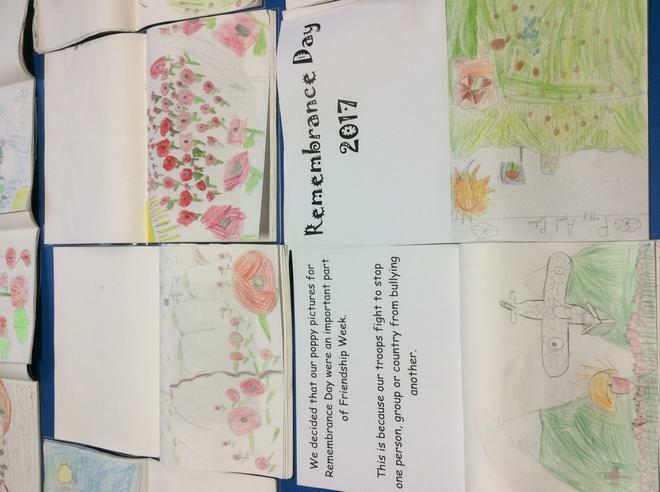 We made paper poppies and discussed why we remember this day. We pretended that we were pieces of food making a journey through this system. We used drama and discussion to generate ideas and then wrote recounts in the first person. 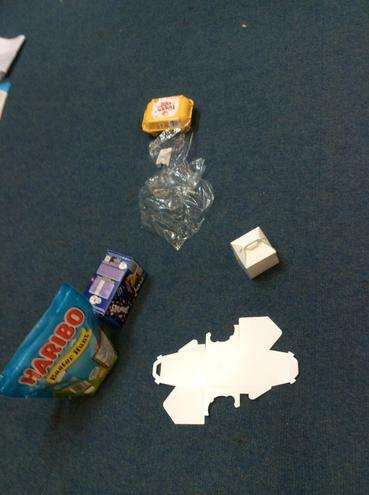 Algorithms, ICT and a very different classroom arrangement! 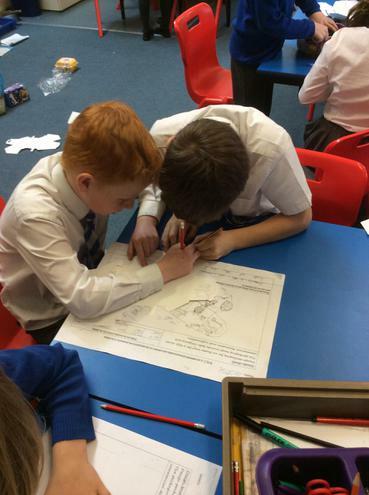 We wrote our own mini-presentations about the Egyptians using facts we have learnt so far this topic. Also, we made up one wacky fact that would make us all laugh. We all presented our work to the class and worked on improving skills such as: looking up to make eye-contact when speaking, talking clearly without rushing and keeping track of our speech on the page with our fingers. Thinking about non-fiction writing, we looked at example texts to find features we will need to include when we write our own reports about the Egyptians. We found things like bold headings, sub-headings, pictures, captions and paragraphs. Some of us had the challenge of sorting and organising texts that had got mixed up. 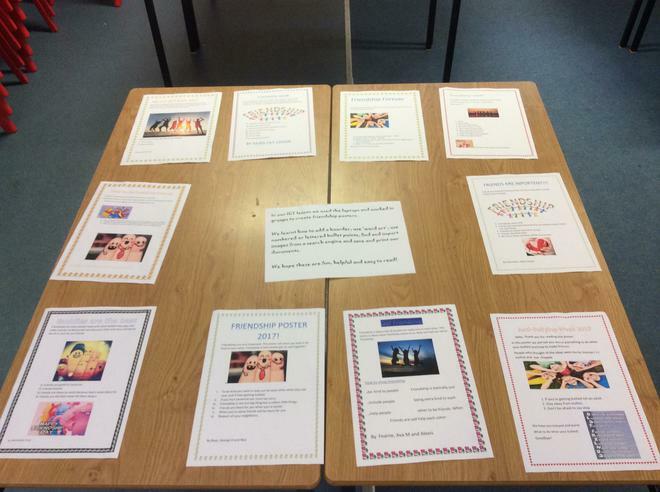 We had to re-organise them and link the paragraphs to the sub-headings that describe them. 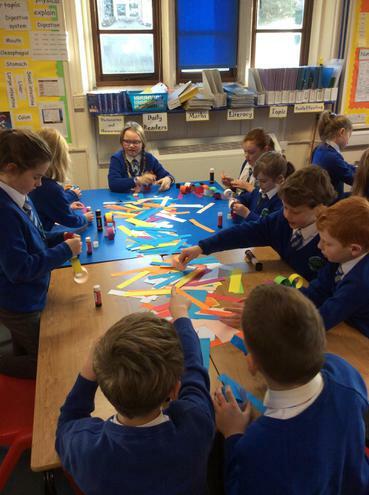 We used water colours and the colour wheel to make stunning leaf artworks to celebrate the turning of the seasons from Summer to Autumn. We also sung the song 'Autumn Days' as our contribution to the Harvest Festival service in church. This week we have been solidifying our knowledge of place value and the column method for addition. 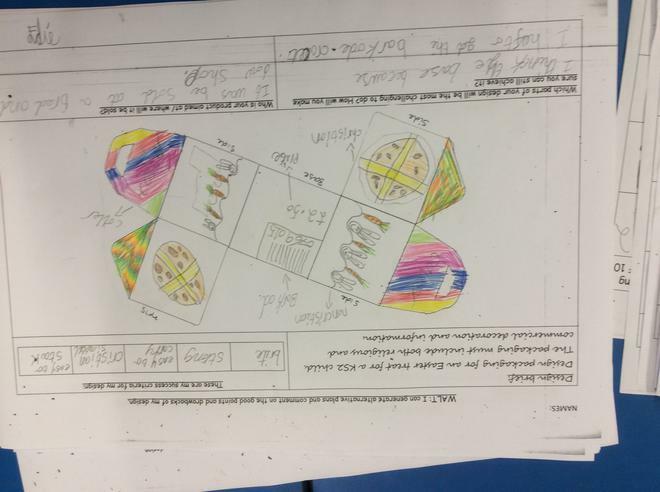 We have done this through work with Dienes blocks and by answering worded problems. 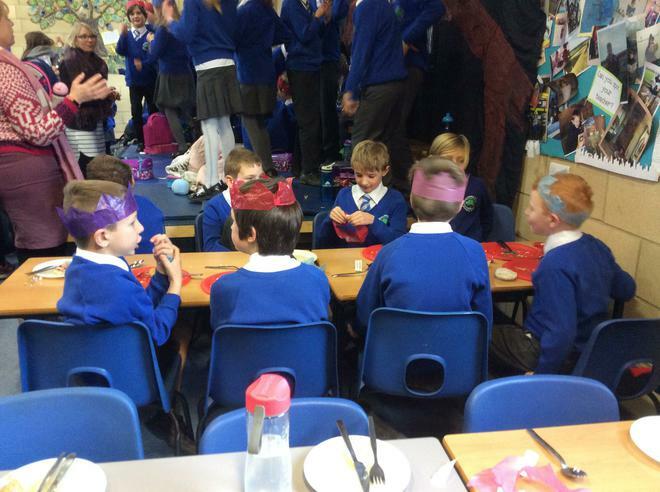 I tried my hardest to give the children some really challenging two-part problems. 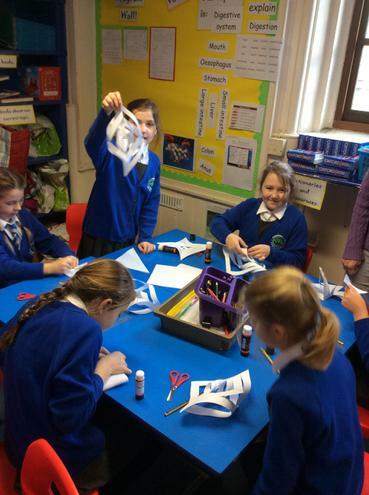 We were all able to have a go and make corrections when we found something we needed to improve. Most of us wrote our own problems too. Some of us even wrote two-part problems with extra details that might trick a person! Dienes and a number line- upside down! Using column method for addition. Creating our own two-part problems to answer. This week, our SPAG focus has been the use of inverted commas to write speech. 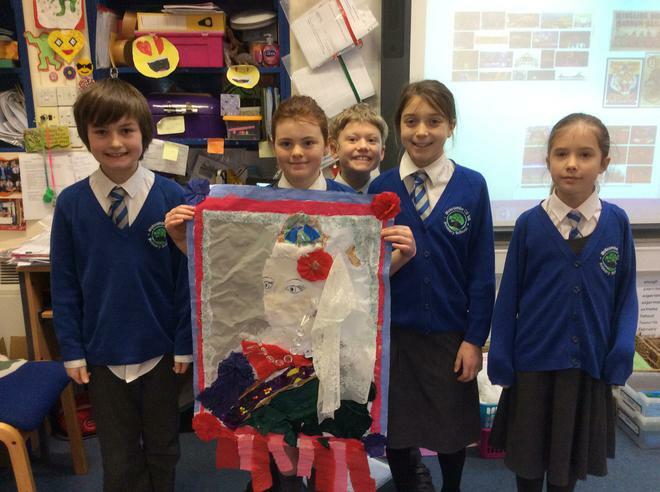 We used this skill in our topic-related story writing about Miu the Egyptian cat and his new life with the Pharaoh. Some of us moved on from using commas before reporting clauses to writing split speech. 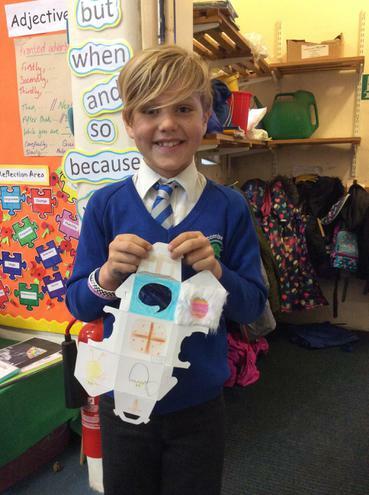 A super example of speech writing! We researched how Egyptian society was thought to be organised and learnt about some of the jobs these different people did. We organised then into a pyramid and then thought about which kind of person we would like to be. Some of the topic words we are learning to read. In our ICT session this week, some of us spent time exploring the apps on the ipads and using 'Mathletics' to improve our tables and place value knowledge. Some of us spent time learning how to create a PowerPoint document about the Egyptians. We were shown how to save a document, choose the type of slide we wanted, how to search for images using 'Google' and how to copy and paste those images into a PowerPoint document. We have begun work on group projects to draw large pictures of these burial coffins. We looked at the patterns and meaning of hieroglyphics and worked in small groups to create artwork to be displayed in the classroom. Written calculation methods- column addition. 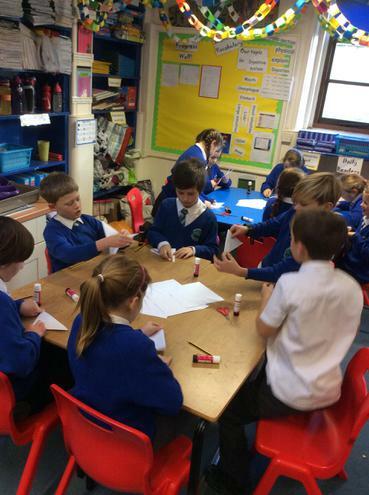 This week we have begun our work on column addition. This is a super method and is supported by a good understanding of place value and how numbers are written and presented in columns. We used place value grids and dienes blocks to help us understand what happens to amounts when they are added and when there is more than 9 in any column. We will use this knowledge to apply our addition skills to worded problems, missing number problems and rounding amounts to estimate and then check answers with written methods. Our focus text is all about a little cat in Egypt who longs to live with the Pharaoh. 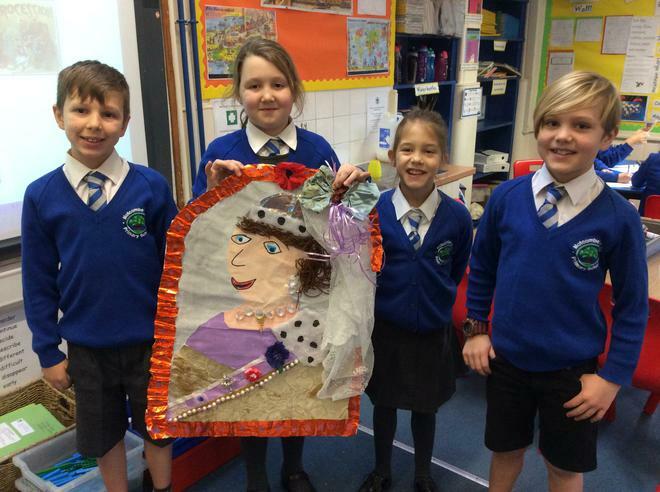 We have been writing about his journey to the palace and the setting he walks through. We thought carefully about how to use 'a' and 'an' and how prepositions and our sense can help us to write interesting paragraphs. 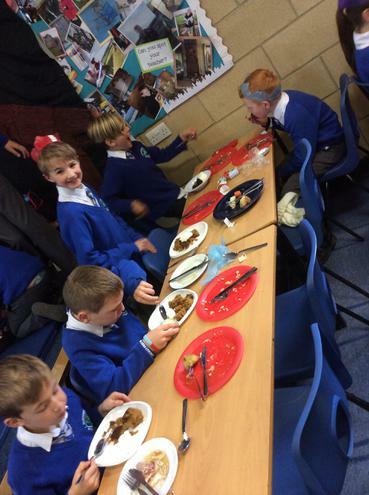 We had a fantastic first week as the new Skylark Class. From place value, rounding and adding and subtraction 10. 100 and 1000 in maths to learning how to use articles correctly and poetry writing in literacy; we have worked so hard! Lending a helping hand before painting. Exploring the focus text and its illustrations. We wrote our own version of the story to include our own dreams. We performed this poem in the whole-school assembly. We accompanied this poetry reading with actions. Below is information on what we will be up to in the run-up to Christmas.